In December 2014, Dawna McCabe, after working over 14 years in the business in various management roles, made an investment into Century when her father, Mel Woods, retired. Now President and CEO, Dawna also works alongside her husband, Mark McCabe, who serves as the Chief Business Development Officer. Mark comes to Century with over 36 years of sales and service experience in the industry. Century, now a certified woman owned business (WBE), has evolved to become a more progressive, dynamic company than when it began over 3 decades ago, by driving their business model and strategies to become more agile. With the convergence of technology platforms in recent years, Century has become a trusted resource for digital information technologies for our customers. Today our company focuses on providing all the solutions required to bring order and discipline to your digital information. This evolution has resulted in a wider range of products and services to include digital print technology, digital scanning, cloud services, document management, business process optimization, managed print services, mobile technology, production print, managed network services, creative and professional services, LED lighting services and much more. In October 2013, we changed our company name to Century Business Technologies, Inc. to better reflect our market and these exciting new digital technologies available to our customers. 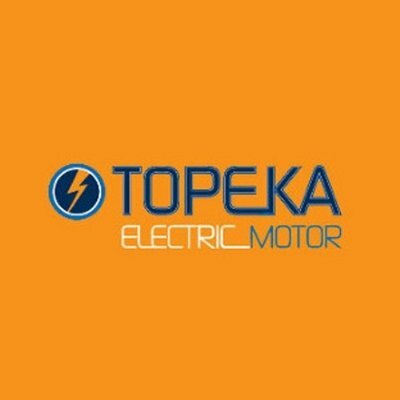 We pride ourselves in having all of your needs locally supplied by the highest quality employees who live and work in your business community. 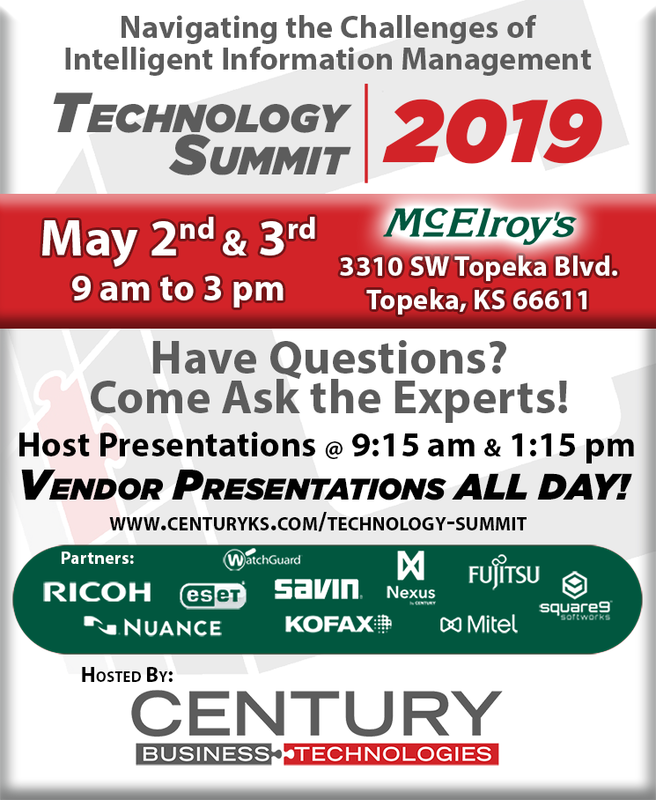 Century Business Technologies has now grown to over 66 employees in 6 locations throughout Kansas (Topeka -2, Chanute, Lawrence, Dodge City and Garden City), providing statewide coverage. Century also has 5 large warehouses that offer inventory and distribution space for expansion opportunities. Today, with the technology Century can provide and our proven discovery process strategy, it enables our customers to maximize technology for their business growth and profitability, all while focusing on the security of our customer’s information. 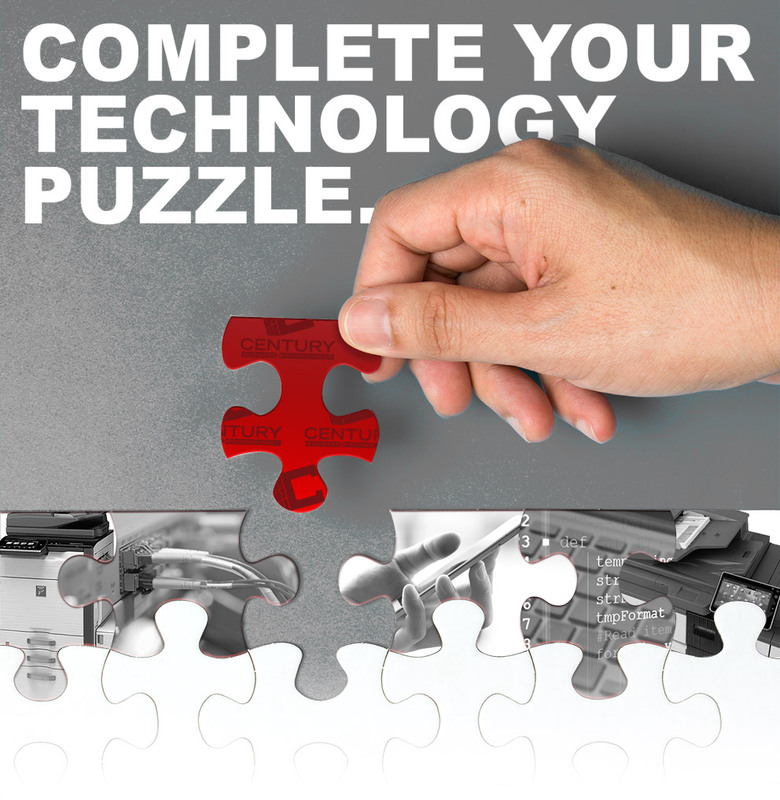 Century Business Technologies builds long term relationships with customers, partners and employees. We are family-oriented and committed to making it easy to do business with. In an industry that is ever changing, we help navigate the challenges of business technology through innovation and adaptability. Century recently received the distinguished Woman-Owned Business of Distinction Award at the 2018 Small Business Awards in Topeka, Kansas. The award was accepted by Century's President and CEO, Dawna McCabe. To discuss how we can create smarter solutions together, contact us!